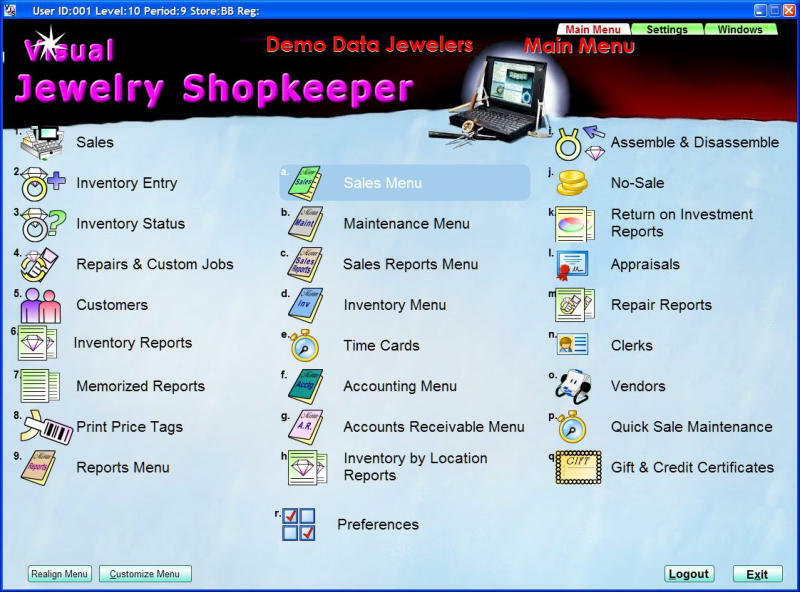 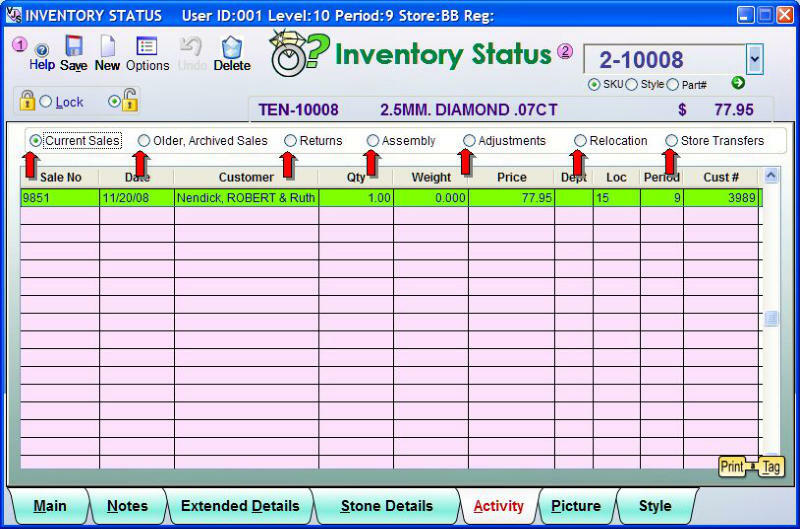 Main Menu This is the first menu you see when beginning Visual Jewelry Shopkeeper. 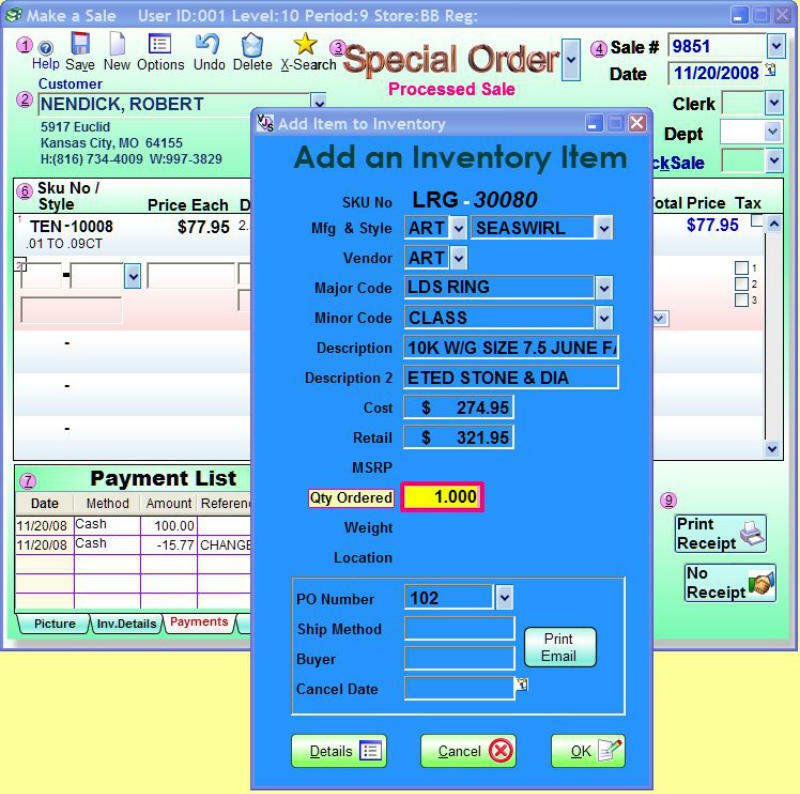 Special Order During a sale, add a special order item. 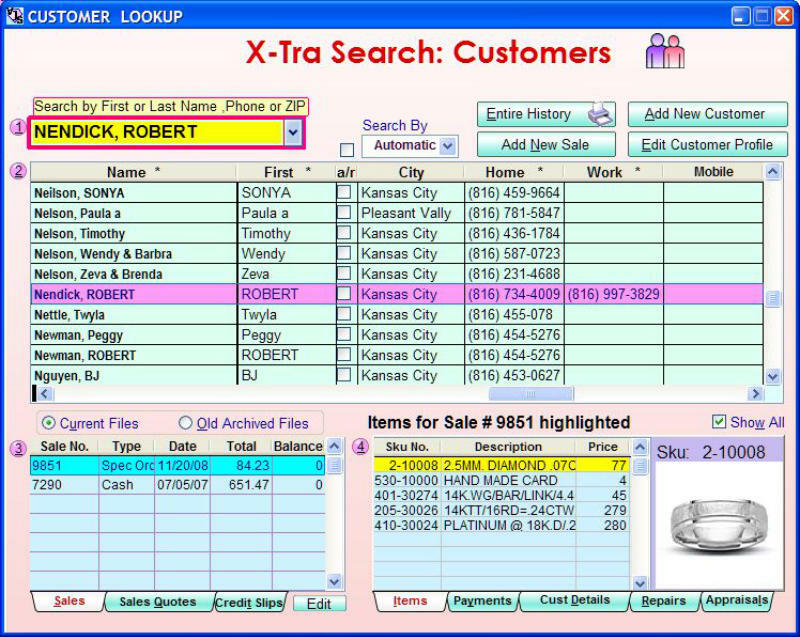 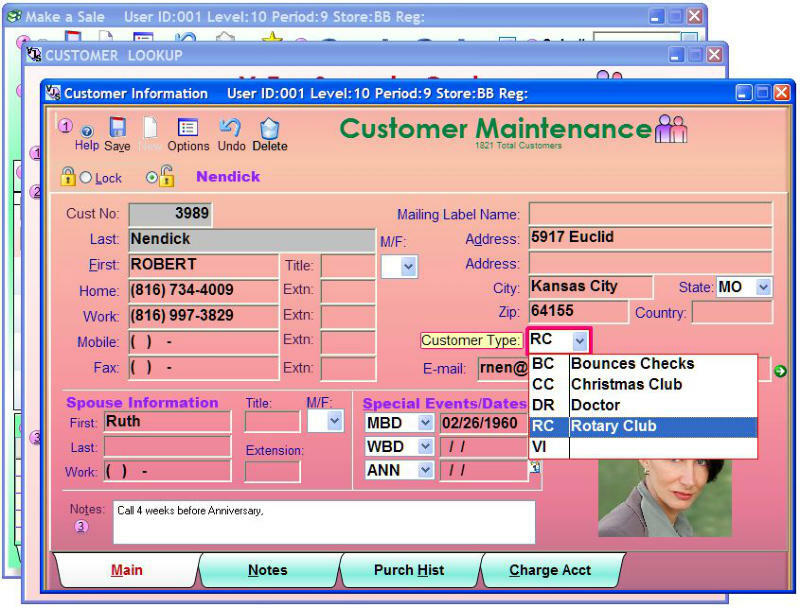 Search for Customers Type what you know - Shopkeeper will find the right name. 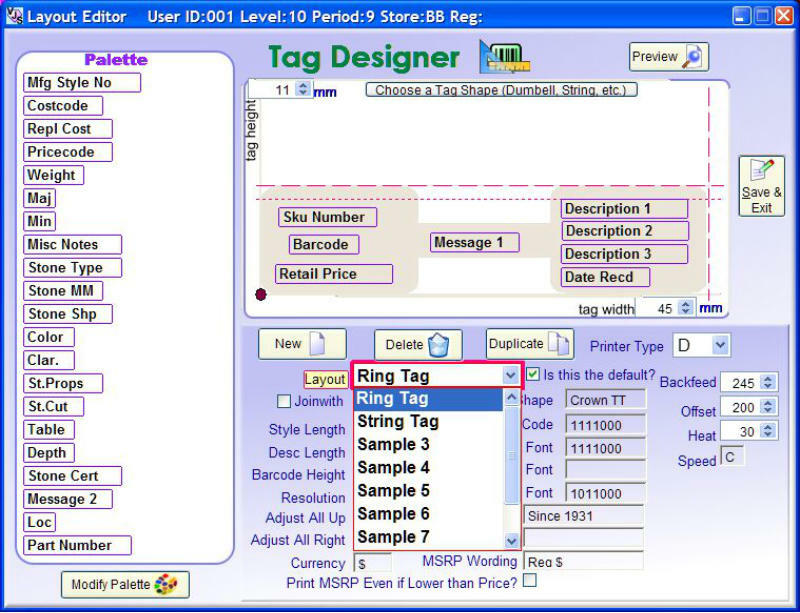 Setup Tag Layout For thermal printing, setup your own tag layouts with Drag and Drop. 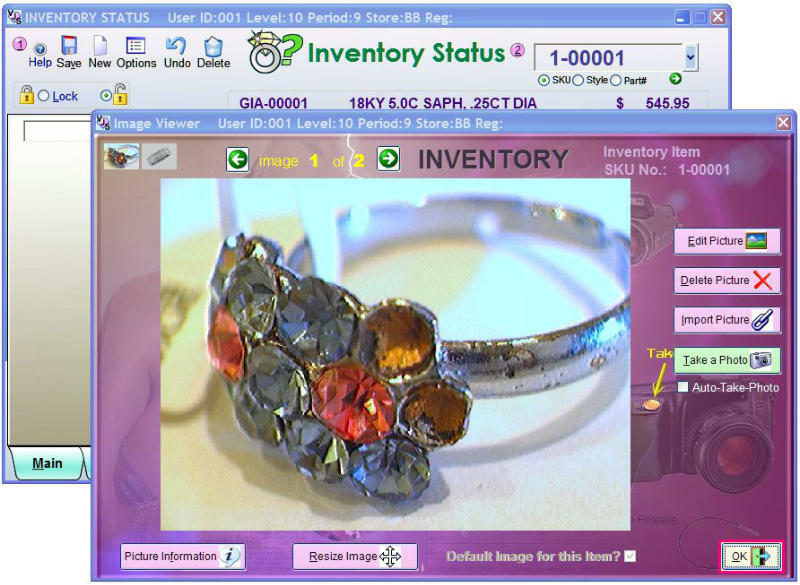 Show Sku No Picture Add as many views of a picture as you like. 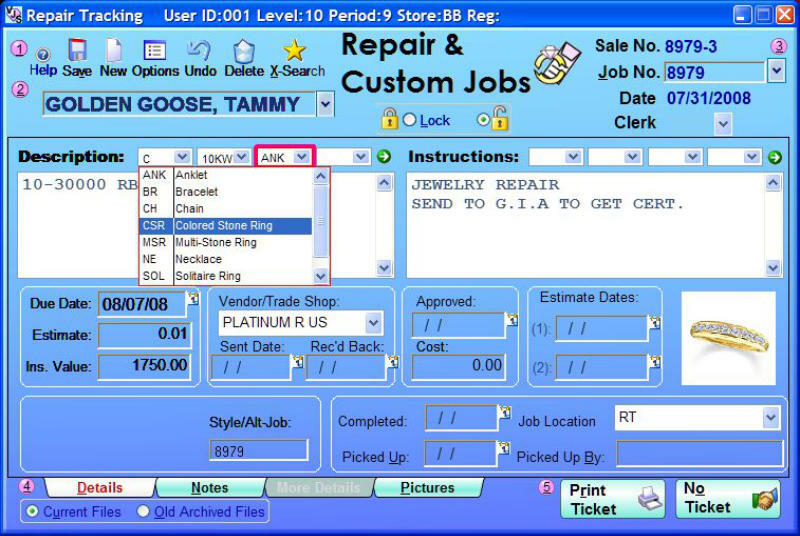 Repair Entry Enter Repairs from Sales. 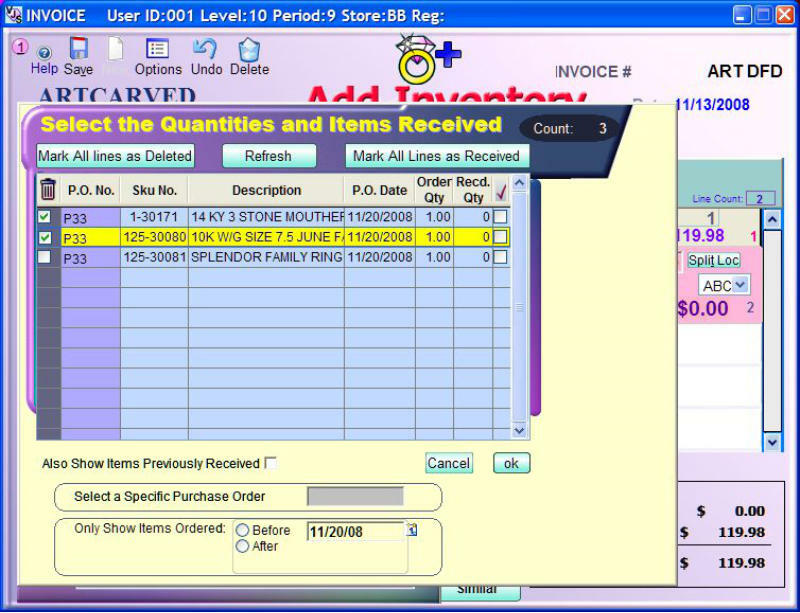 Vendor Details Get all specific details for each Vendor. 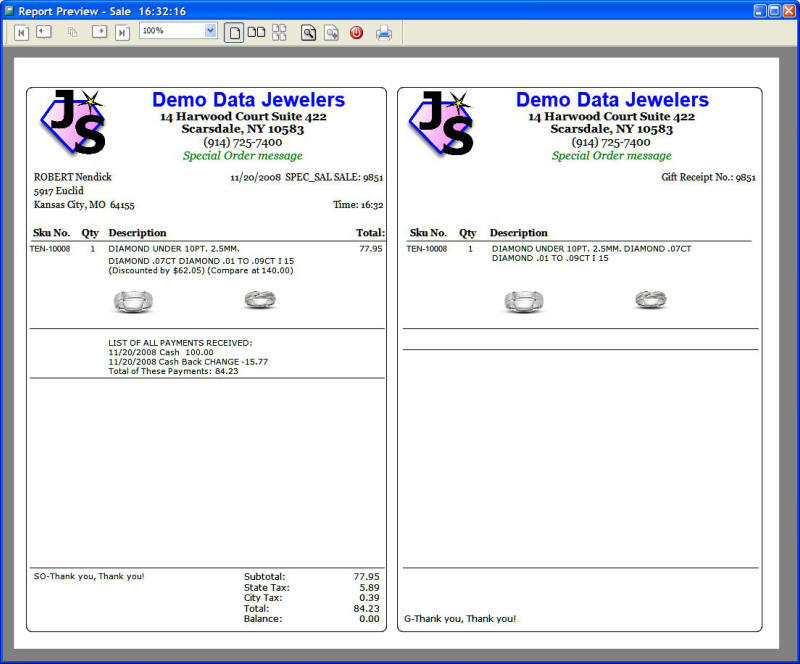 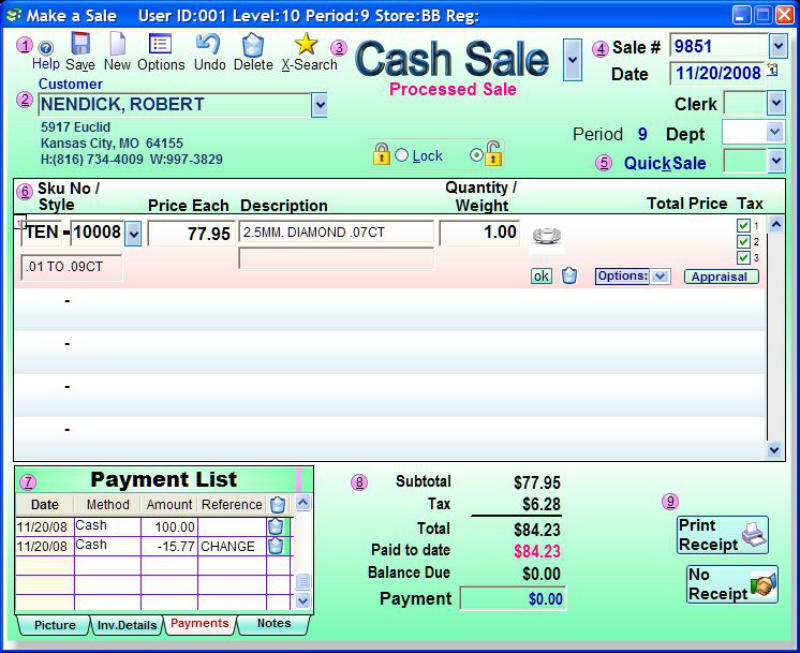 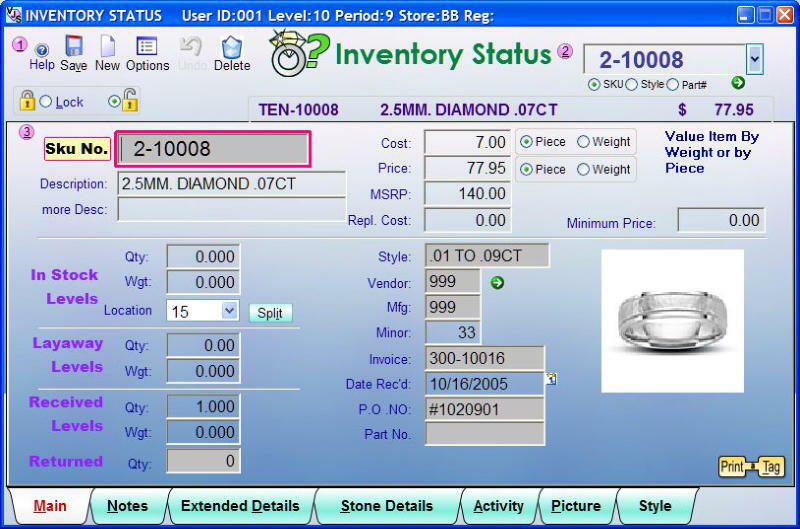 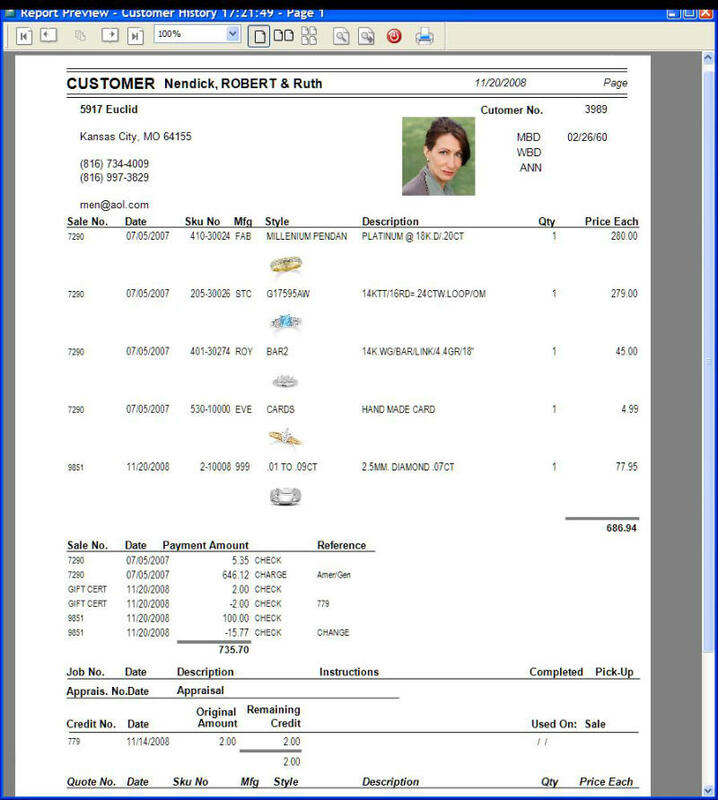 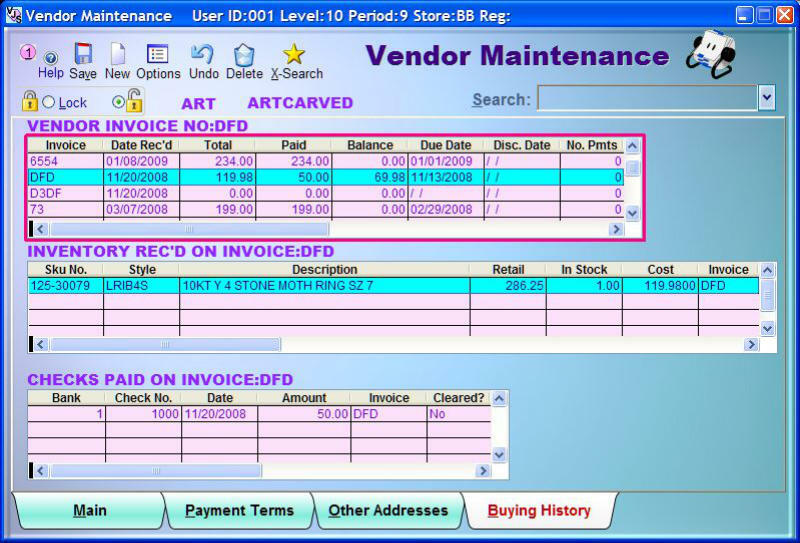 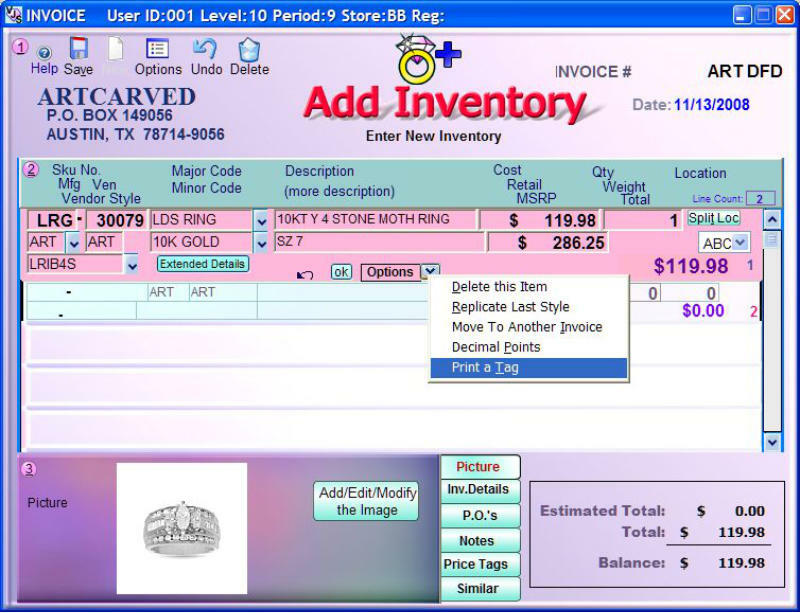 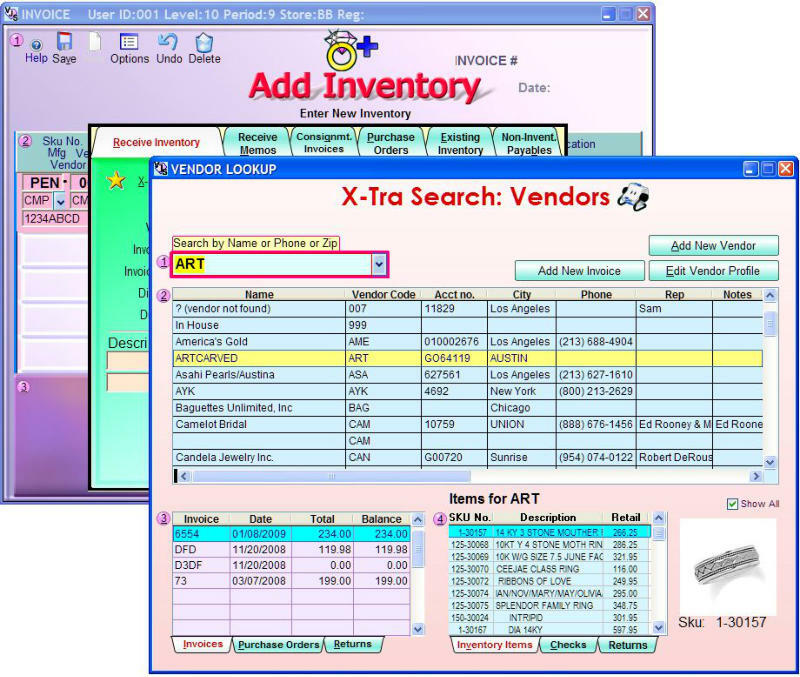 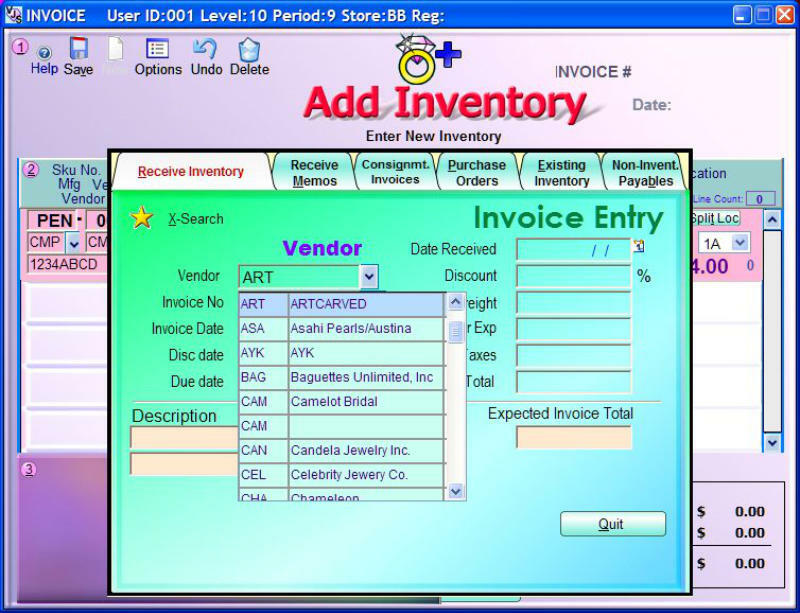 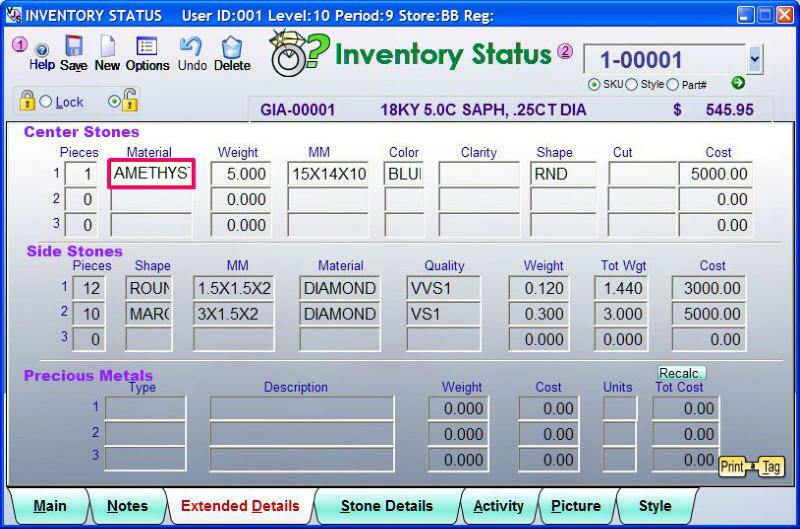 Vendor Invoices, Payables See each invoice, Sku No's purchased and Checks Written on each invoice. 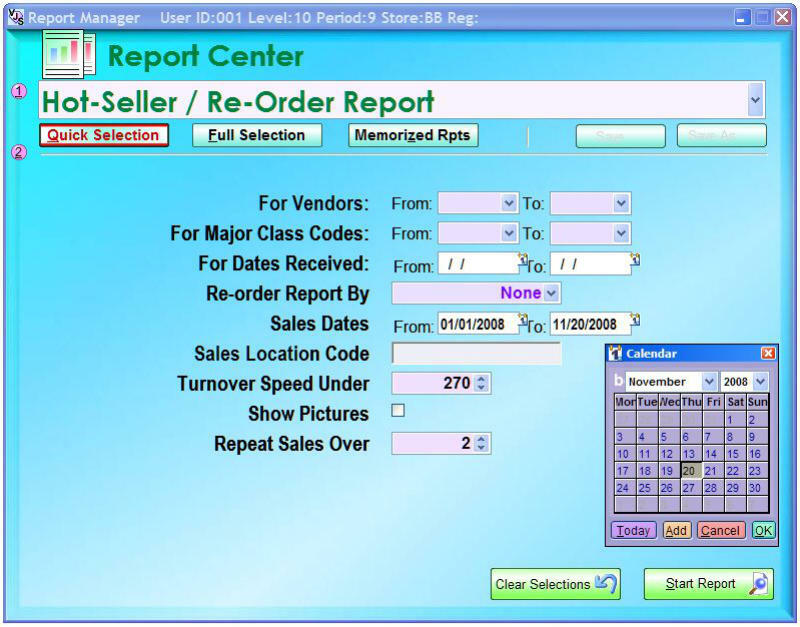 Report Setup Specify your report criteria before beginning a report.